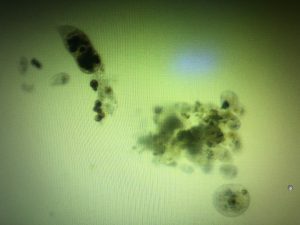 Experts believe that up to 98% of coral tissue necrosis diseases including RTN, STN, brown jelly, white syndrome and white necrosis are caused by a family of microscopic coral parasites known as ciliated protozoans. Recent experimental evidence has shown that these RTN and STN parasites are responsible for coral tissue necrosis. The largest of these microscopic parasites is only 0.15 mm in length; therefore, they are invisible to the naked eye. 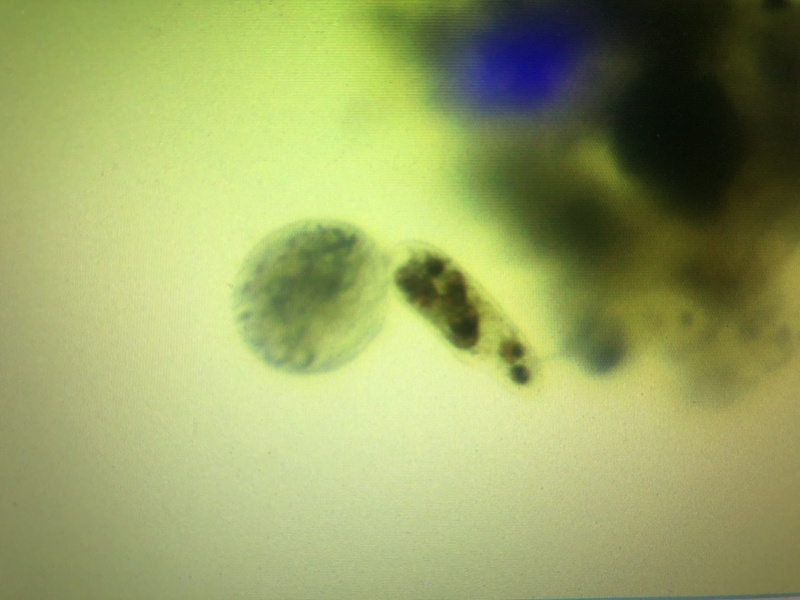 Some examples of the more common protozoan parasites causing tissue necrosis are shown below. Microscopic analysis of necrosing coral tissue and skeleton are the only way to confirm the specific identity of the protozoans causing coral tissue necrosis. Because of the ability for protozoans to survive the entire chain of custody from the ocean to your reef tank, they are present in virtually every aquaculture and mariculture facility. 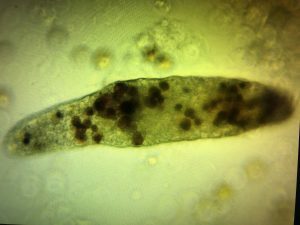 Until now, the role of these protozoan parasites in the spread of disease among coral was unappreciated by both scientist and hobbyist alike. 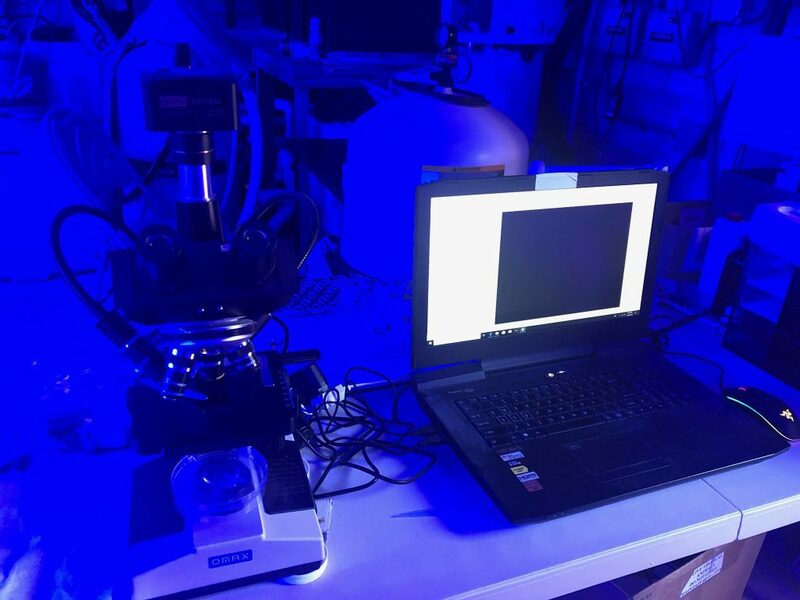 Prime Coral Labs in 2018 performed the first set of experiments to definitively prove the infectious role of the RTN and STN parasites in coral tissue necrosis. 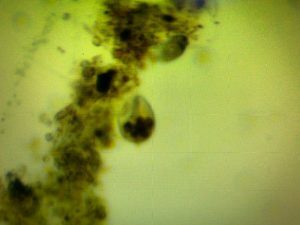 To perform your own diagnosis at home, you will need a light microscope with 40x and 100x magnification, see video below. Take a fragment of your diseased coral’s tissue in the zone of necrosis and place it in a Petri dish under the microscope lens at 40x magnification. You must use a top down led light source to illuminate the coral surface. Examine this coral sample in the zone of necrosis for microscopic protozoans. The easiest way to see these protozoans microscopically is to place a necrosing fragment of coral tissue and skeleton into a Petri dish and add 10 ml of saltwater. Soak the coral tissue overnight. The next day examine the water for swimming parasites. Prime Coral Labs offers mail in microscopic diagnostic testing. To obtain a Coral Tissue Necrosis Microscopic Diagnosis that provides a detailed report of the RTN and/or STN parasites infesting your coral sample. The examination of your coral sample is done under a 40x and 100x light microscope. For the first time ever, reef keepers now have the access to get a diagnosis for the health of their coral showing signs of infection along with treatment recommendation.